Wedding catering hire is considered widely by most wedding planners or couples in the process of planning their big day. Why Use Wedding Catering Hire? When it comes to planning your big day, it’s often a mutual decision with you and your partner whether you want to hire a wedding caterer or not. Often it depends on the size of the party attending your special day. For those hosting large scale extravagant weddings, it may be worth the expense of hiring wedding catering Bedford. If you are hosting a large-scale celebration with everyone you know, you are going to have a lot more hungry mouths to feed. Almost always, food is provided at the wedding. Your friends and family might have travelled from the other side of the world to be there on your wedding day, and they are going to be hungry after a long trip. It can be a tough decision to narrow down to the kind of wedding catering you are after and that is suited to your theme as well as party size. But we are here to help, we have listed some of the benefits you could gain from hiring wedding catering for your special day. As well as helping you break down the process in order to help you choose the correct type of menu suited to you, so keep reading! Take into consideration how many people you have attending your wedding, as well as how much space your venue offers. If you estimate a handful of guests attending, providing them with a hog roast is going to be a waste of food as well as time and money. For smaller sized party’s we would recommend either a cold buffet to give your guests options, or canapes. A lot of guests, however, would much rather a meal that is going to fill them for the long evening of celebrating ahead; hence they would instead opt for something hot and fresh. Burgers are a favourite of plenty of guests and are available in a variety of flavours and tastes to suit a number of dietary requirements. Catering Northampton typically offers a selection of hot foods; we can tailor our menus to your preferences dependant on the type of food you wanted to provide your guests. When paying for a supplier to hold a food stall at your wedding, you are guaranteed to be serving your guests good quality food. Catering companies and food suppliers are legally required to partake in yearly health and safety inspections, as well as cleanliness and quality inspections. Often they leave reviews or type up a detailed description of their experience within the establishment. Be sure that if you can to read these, so you know that you are booking a qualified, reliable food supplier that is going to wow your guests. Always be sure to read things like Trust Pilot, Facebook and Google reviews! If your decision to get hitched was a bit last minute, it can be overwhelming trying to cook or supply food to a large number of guests with such little time. In order to save time and give yourself the opportunity to discuss and plan more critical aspects of your big day, hiring wedding catering can provide you the extra time you need for the things that matter most. By preparing food yourself or offering to involve yourself with the catering, you must think about food options, beforehand preparations, setting up as well as providing utensils for your guests to eat with. Not only does it reduce the time you have to fit everything else in, but it put’s a timescale on your big day and leaves things very last minute – which is the last thing you want to do. Preparation is the most time-consuming part of event catering, you then have to take account fo everyone’s dietary requirements and likes and dislikes to prepare something alternative – which is even more time-consuming. This is the job of an event catering company. They prepare themselves for all dietary requirements, can set up quicker and always prepare food beforehand to ensure the food you eat is fresh and delicious. Your wedding day is going to be stressful enough. Nerves are going to kick in alongside a whole mixture of emotions like excitement and anxiety. The last thing you should be worrying about is the food you are going to serve your guests! Your wedding day is all about you and your partner, so you should be sure to relax and do everything in your power to help ease off the stress and simply enjoy your day. By selecting catering as opposed to self-catering, you have no worries. All of the preparation, serving, dishing up, setting up and cleaning up is done all for you without any added costs or hassle. Taking away stress is typically one of the most common reasons newly-weds choose catering services. Even if you are a fantastic cook, it can be hard to keep everything on time-scale and in balance while trying to enjoy yourself; you don’t want to end up cooking food in your wedding dress/suit! One of the main benefits of selecting food catering for your big day is the selection and wide variety of cuisines for you to choose from. 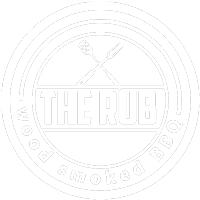 From American BBQ, to Indian, Mediterranean and fresh, delicious wood-smoked meats. We supply a variety of cuisines suited for all weddings to match your theme and to treat you as well as your guests to their favourite dish! Take a look at our menu, or contact us for a more in-depth description of our range of cuisines and food options. Rather than limiting your wedding to typical finger-buffet or boring canapes, treat your guests to a fantastic fresh food experience that is guaranteed to prepare them for the fun-filled night ahead! If you want to book wedding catering for your special day, contact us today for more information on prices and menus! Remember, your wedding day is all about you and your partner, and you should do everything in your power to relax and enjoy one of the most special and meaningful days in your life.